Of course we're biased when it comes to cycling, and cycling in Colorado can be a breathtaking experience. Our natural terrain begs to be explored and one of the best ways to experience Colorado is on a bike. 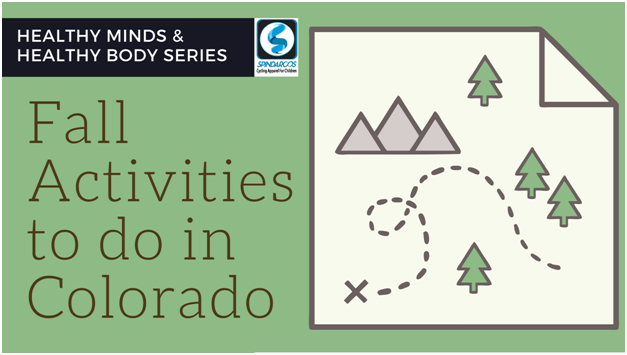 Whether it's simpler rides like heading to your favorite park, or checking out Downtown Denver - trekking through a favorite trail or mountain pass - you just can't go wrong. If you'd like to give a family friendly mountain trail a try, check out Waterton Canyon. It's good for all skill levels and serves as a nice introduction to mountain biking. On top of the awesome biking, you can see big horn sheep climbing the canyon walls! How cool is that? How about a nice 5-mile climb? Check out Lookout Mountain. It's starts in Downtown Golden and ends at Buffalo Bill's gravesite. A historical and entertaining ride. If you'd like, you can keep on going through Morrison and the Red Rocks area. A well known ride is the Buffalo Creek Trail System. It is maintained and exists basically for mountain bikers. It's a smooth singletrack that runs 24 miles. If you're into road biking and you're up for a challenge, try the Mount Evans Road. It is a 48 mile incline. Make sure to bring a bike kit along for this ride because there is nothing along the way except you, your crew and your bike. Colorado has a glorious variety of museums! Art, History, Children's Museums - you name it, we've got it! If you're looking for a fun outing where the kids are learning, but it doesn't feel like learning, head over to Wings over the Rockies Air and Space Museum. It's located in the vast and glorious Hanger No. 1 which was built in 1939. It features historic planes, space vehicles and awesome interactive exhibits. If you love all things "Western", visit the Museum of the West in Grand Junction. They've got a stagecoach, a 1958 Cessna, ancient rock art and a cool one-room schoolhouse. The Denver Art Museum is filled with exhibitions that will thrill and energize your love of all things creative, marvelous and beautiful. They currently have a Rembrandt exhibition with more than 100 prints, paintings and drawings from Rembrandt. Educational and exciting! STEM is not just a trendy term. It is an acronym for Science, Technology, Engineering and Mathematics and it's becoming more and more important for kids to have a solid STEM experience and education. STEM is not all sitting in front of books and memorizing theorems. STEM is a blast! From dancing raisins to exploding rockets, STEM is a great time for the whole family. If you've got littler kiddos, the Children's Museum in Denver is great for toddlers to younger school age kids if they want to do some running, playing and exploring while learning about STEM. The Fornery Transportation Museum is pretty darn cool. You can experience some of the worlds coolest cars, trains, motorcycles and trains. A great engineering and technology lesson. The Denver Nature and Science Museum is fun for kids (and adults) of all ages. Dinosaurs, space exploration, solar cars, innovations from the past, present and future. It's all STEMtastic! Hiking is excellent exercise and is a really flexible activity for the entire family, as it allows you to set a pace that works for everyone. If you've got older kids, you can cruise through a hike and get the most out of the beauty of the surroundings, while getting your heart rate up and pumping. If you're hiking with littler kids, you can still get a good workout, while experiencing it through the eyes of your children. Pointing out cool leaves, bugs, animals, rocks and other things you find along the trail - and seeing their reaction and expressions along the way is super cool. Clear Creek Trail in Downtown Golden is a nice family-friendly hike. It’s almost 2 miles of fun and wildlife. Bear Creek Trail at Lair o’ the Bear Park has a nice 1.7 mile hike where you can explore, picnic and enjoy beautiful Bear Creek. For a little more challenging hike, try hiking in Pine Valley Ranch Park. It will take about an hour to complete the 3 mile hike, but give you plenty of opportunities to enjoy the lake, check out local birds, critters and bugs together as a family. Don’t forget the binoculars and maybe a magnifying glass!